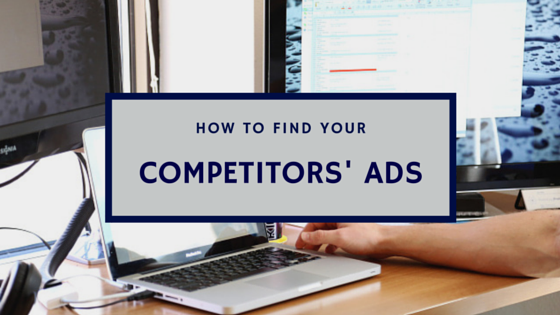 Today I’m going over two different tools that will help you find your competitors’ display ads quickly. Unfortunately, I don’t know of a tool that will show you Facebook ads, but seeing what Google display ads work well for your competitors can give you really great insight and inspiration. Beyond finding display ads, it also finds similar websites to your competitors, it gives you a traffic estimate and breakdown of their traffic sources – a lot of valuable information that would be nearly impossible to figure out on your own. This tool is good for the competitive analysis portion. This tool is pretty self-explanatory in that it literally helps you find out what runs where. I’m going to tell you about two tools that can help you find your competitors advertising or display ads quickly. Unfortunately, to this day I don’t know if anything that can or maybe I haven’t tested the tools thoroughly enough but, talent at Facebook ads does it now but, hey, look in Google ads and seeing your competitors, what’s been working well for them and really, it will help give you some ideas. The first tool is called SimilarWeb and it’s one of my favorite tools right now. Not only will it help you find display ads but it will find similar websites, hands the name of similar web to your competitors, it will give you traffic breakdown in terms of how much traffic are they getting from search, display, whatever it is exactly – a traffic estimate which is probably off more often than not, but, it gives you a lot of valuable information that you otherwise couldn’t have really figured out on your own, at least it that quick span of time. So, SimilarWeb is a great one. Another one is called Mixrank, it’s great for finding, doing more of the competitive analysis part. SimilarWeb has a little more features to it. Actually, I changed my mind, instead of two, there’s actually three. There’s also another tool called What Runs Where and this will all be in the show notes but, What Runs Where is basically what is says. It’s going to help you find what runs where. So check out these three tools, if you’re looking for some ideas and you’re really looking for the ads that have run for a long time and are still running today because that tells you that that Ad is successful and maybe your competitor isn’t doing anything, maybe somebody else in your, somebody else in a, somewhat a similar vertical is doing something, you can take a look at what they’re doing too. It doesn’t always have to be a competitor; you can get different ideas from different areas as well. So, check these tools out and we’ll have it in show notes too, GrowthEverywhere.com and let me know what you think.